download other designs like the McSorley 442. 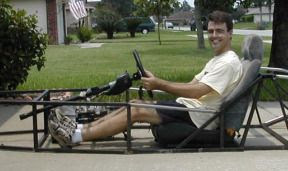 There are many options to build a car at home and on a budget. Some people choose "the book" approach by starting a donor car and a pile of steel. 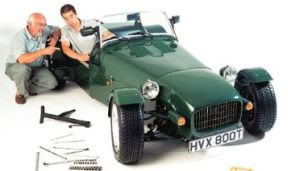 Inspired by Ron Champions book, a car that is hand-built from scratch is usually called a "Locost" (pronounced 'low-cost'). This sound-alike name pays hommage to the original Lotus 7 while reminding us that you really can build your own car on a minimal budget. For those who prefer simplicity over savigns, there are turn-key solutions from the original licensed manufacturer and other kit suppliers from around the world. I refer to all of these options as "sevenesque roadsters" (pronounced 'sev-uhn-esk') because they resemble an original Seven both visually and in spirit. They are true roadsters with no side windows or a permanent roof (or even doors for that matter.) 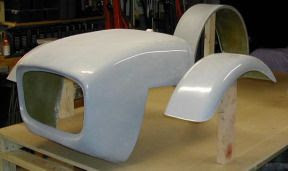 Please join me in celebrating, studying, building, and sharing the experience of building your own sevenesque roadster! Can you believe that it has been six years?! I'll bet you thought I gave up on my Locost build for good? Rumor has it that I sold my incomplete project and disappeared off into the sunset. Well I'm here to dispell that myth... and to let everyone know that I'm "back in the game." 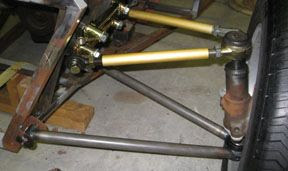 Not only have I been making progress on the front suspension, I've also revamped my website and set up a cool email newsletter tool. I have some other tricks up my sleeve that will be revealed over time. Be sure to join my email list to learn about changes to this new website as they happen. Technology has come a long way since I first started my project in 2001; now I can update my website with photos and even videos directly from my cell phone! (I'm not sure why I want to... but it's pretty cool that I can!) It will also be easier to keep in touch, share mutual interests, provide quality information, and continue to improve upon chassis plans like the McSorley 442. Please post comments to this site and join me in celebrating the journey!